I’ve had over 3,300 customers download my novels for Kindle so far this year. That’s roughly 3,299 more than I was expecting and that’s because I had to buy a copy to test it out. I had a lot of fun writing Daylight Hours and Moonlit Miles and even though I’m taking a break from Kris Grant for a while to write some other stories, it was a nice surprise to look at my monthly reports and tally up how many I’ve managed to sell so far from Kindle. Of course, no matter how grateful I am to everyone/anyone who even takes the time to read the synopsis of either book — let alone the entire thing — what really makes me feel like I should hold off on planning that assisted suicide is reviews. I thank everyone in advance who helps me out with reviewing the books if you’ve read them. Side note: I’m in the business of working on an exciting new novel that has nothing to do with vampires and everything to do with amazing. I’ll keep you informed. 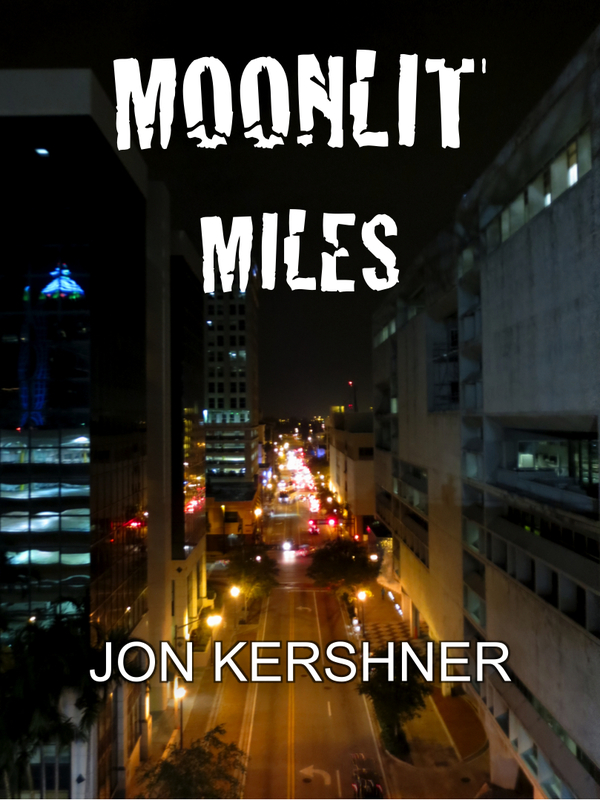 After much anticipation, Moonlit Miles is here! This action-packed sequel brings us back into the mind of Kris Grant, an inexperienced Vampire running the South Florida Territory with his business partner, Jack Weaver who just so happens to be a Werebear. To celebrate the release of Moonlit Miles, the second book in The Kris Grant Series, I’m having a huge promotional sale. On Sunday, April 7, 2013 you will be able to buy both Daylight Hours AND Moonlit Miles for FREE! That’s right, both books in The Kris Grant Series will be absolutely, 100% FREE for Kindle on Amazon.com. All you have to do is check them out this Sunday morning (TOMORROW) and download and gift to your heart’s content. I want to thank everyone for their support in helping me get this novel out there. If you’re a fan of the first book, or Kris Grant, then I hope you enjoy the sequel. If you haven’t gotten around to reading Daylight Hours and entering this exciting universe where the paranormal and mankind live intertwined, then…well, get on that. You’re missing out. Then again, my opinion’s a little biased.